Mithali made her ODI debut against England in Milton Keynes in January 1999 and on Friday became the first woman to compete in 200 matches in the 50-over format. Not to forget, she is the top run-getter in the world with 6622 runs. Back in 1999, 16-year-old schoolgirl, Mithali Raj was simply happy wearing the India colours for the first time and not much changed even after two decades as the coveted milestone of 200 ODIs “is just a number” for the 36-year-old legend. 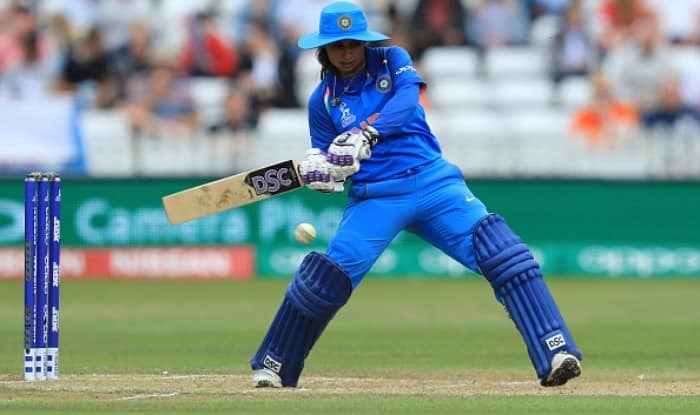 Mithali made her ODI debut against England in Milton Keynes in January 1999 and on Friday became the first woman to compete in 200 matches in the 50-over format. Not to forget, she is the top run-getter in the world with 6622 runs. “200 is just a number for me but it feels nice to come so far,” unassuming India’s ODI captain said after completing a maiden 2-1 series win on New Zealand soil. “I have seen different stages of (transformation) in women’s cricket across the globe since I made by debut way back in 1999 under IWCC (International Women’s Cricket Council). Coming under ICC, we could see the difference. I am just happy to represent the country for so long,” Mithali said. For Mithali, it is a surreal feeling that she could continue for so long at the top level. “When I started, I didn’t think that I will come so far. Initially, my aim was to only wear the India colours, be one of the core members of the team but never did I think that I will continue to play for so long,” said Mithali as one could gauge the sense of satisfaction in her voice. Mithali has had her share of ups and downs including the very recent public difference of opinion with COA member Diana Edulji, whom she alleged was trying to finish her career along with former coach Ramesh Powar. According to Mithali, her only endeavour has been to suit her game as per the team’s needs. “When you have a long career, you have different elements and reasoning that comes into factor. But one thing has been to constantly thrive and change my game to suit different conditions, different areas of my game and trying to keep up with the international standards. “I have seen joys, highs, and lows — when you have a long career,” she said, expressing her gratitude to everyone “who has made a difference” in her career. On the areas that require improvement, Mithali wants a seam-bowling all-rounder in the side. “When spinners are bowling, they need more support from fast bowlers. Obviously, Jhulan (Goswami) is very experienced but maybe we need an all-rounder in the playing XI can be useful on these tracks, so on a given day if spinners are not doing well, maybe the all-rounder can do the job,” she said.